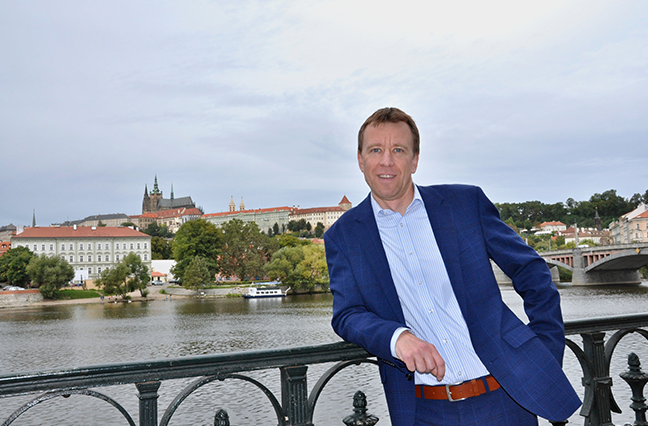 Marek Kalbáč, Global Services Director at Renomia, shares the city’s history and new generation. Prague’s strategic position in the middle of Europe makes traveling across the continent fast and easy. The historical city center is beautiful, and there are areas where modern architecture is emerging, like the Hotel Josef, designed by the famous Czech architect Eva Jiricna. Visit the Letná District to see the new generation of Prague citizens. It has become the hipster quarter with a lot of cafés, fashion boutiques and bookshops. A new generation of chefs with international experience has emerged over the last 10 years. You can get anything from high-quality banh mi to typical Czech food. We have three Michelin restaurants—La Degustation Bohême Bourgeoise, Alcron and Field. Kalina Cuisine & Vins in the Old Town lacks a Michelin star, but it can compete with any of these restaurants. Momoichi Coffetearia. I like the steampunk coffee and Japanese and Middle Eastern fusion dishes. The first Lokál opened in 2009, and now there are many around the city. If you want to eat high-quality, typical Czech cuisine, this is the restaurant. They serve traditional dishes like fried cheese with tartar sauce, goulash and roast sirloin in sour cream sauce with dumplings. The best places for cocktails are La Casa de la Havana vieja and Hemingway Bar, which are famous for their innovative drinks, including many Cuban classics. As for beer, Lokál serves our famous Pilsner Urquell from huge tanks. The Golden Well Hotel near the Prague Castle is expensive, but it has terrific views over the whole of Prague. It also has an award-winning restaurant by chef Pavel Sapík, whose family has a heritage of hospitality dating back to the 17th century. Even though it’s touristy, you should walk over the Charles Bridge, which opened at the beginning of the 15th century. It is decorated with baroque-style statues and leads to Prague Castle, connecting Old Town with New Town. Be sure to try Trdelník, a traditional sweet from Transylvania, at one of the street stalls. If I could recommend one off-the-beaten-path place to visit, it would be Vrtbovská Garden under the Prague Castle. The baroque-style garden was built during the beginning of the 18th century and is on the UNESCO World Heritage List.